Are your patents ready to stand up to a court battle? All too often, we find that patents are prepared and written to expedite issuance of the patent by the patent office. However, decisions made during preparation and prosecution of a patent application may have significant ramifications on an enforcement of the issued patent. Thus, patent applications should be drafted with future enforcement in mind. Dinsmore IP attorneys Paul Ulrich, Brian Tent and Nick Rericha presented a 60-minute look into the minefield of patent prosecution and the most common ways practitioners can have an unknown but significant impact on a future enforcement, such as litigation or licensing. Whether you own a few patents or a portfolio of thousands, you can’t afford to miss this webinar! • Claim and specification drafting tips to help you successfully prepare for a court battle. Paul focuses on patent preparation and prosecution; patent infringement/litigation; market clearance; validity; patentability studies; licensing; IP due diligence for M&A; and client counseling in IP matters. He is experienced in mechanical, electro-mechanical, light-chemical, business methods, Internet-related areas, and software. Paul also has real-world business experience, managing engineering, regulatory, operations, and customer service functions with a Fortune 500 gas and electric utility. 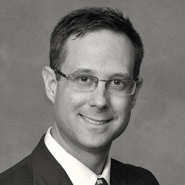 Brian has extensive experience in the preparation and prosecution of domestic patent applications. He also manages a large portfolio of international patent applications, collaborating with attorneys throughout the world to help clients secure their IP rights abroad. He also advises his clients on patentability, freedom to practice, acquisition and licensing of their technical innovations. Nick covers a variety of technological areas including medical devices, optics, circuit design, controls, software, computer science, automotive, nanotechnology, among others. He services a large, world-wide medical device manufacturer that specializes in diabetes care devices and protocols as well as clients who are advancing developments in the lab-on-a-chip, nanotechnology, and alternative energy fields.